Lip augmentation involves injections of hyaluronic acid gel filler into the lips. The surrounding areas may also need some filler to optimise outcomes. The filler is similar to other dermal fillers for the face, except that the gel used for lips tends to be more spreadable and softer - important for a mobile, soft area like the lips. Hyaluronic acid is a substance found in almost all living things and in humans, it forms part of the supporting structure for skin. It is not produced from animal sources and due to its natural origin, it is highly compatible with the human body. Lip fillers can be used in numerous ways. For the younger population, the vogue for many is to have plump, lusciously cushioned lips. Others would want to correct asymmetry, shape or just define the lip borders better. Click here for a before-and-after example of plumping up already young, plush lips. For those thinking of reversing signs of aging, thin lips can be volumised. Sometimes, the typical cupid's bow lip contours are lost with time and a gentle re-defining of the lip border would work well. See the below before-and-after photo for a typical case. Depending on the individual, we may suggest fillers to areas adjacent to the lip to enhance the overall outcome. Each consultation is free of charge and will go through your specific needs. Every pair of lips is different. This lady in her 50's had very thin lips with little pink showing. She wanted to have a natural look with fuller, more defined lips and lifted corners of her mouth. 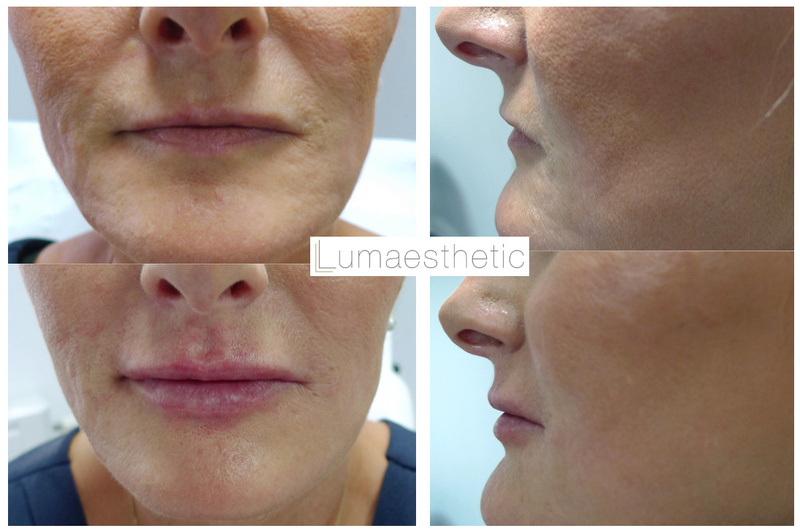 This was achieved with 1.5ml of two different types of filler. Lip fillers are placed just under the skin and mucosa (pink part of the lip). They act to define and volumise. We may recommend some filler to go around the mouth to optimise the outcome of your treatment. There is documented evidence for efficacy and safety for dermal fillers. It involves a few tiny injections into specific areas with a needle as fine as a human hair. This will have effect for a period of 6-9 months. As in all medicines, there are side-effects. Significant adverse events in dermal filler injections are rare. The common side-effects are minor, such as areas of mild bruising, swelling and redness that may last a few days. In a minority of individuals, they may react to the injections more than usual and form little lumps under the skin that normally dissipate after a fortnight. 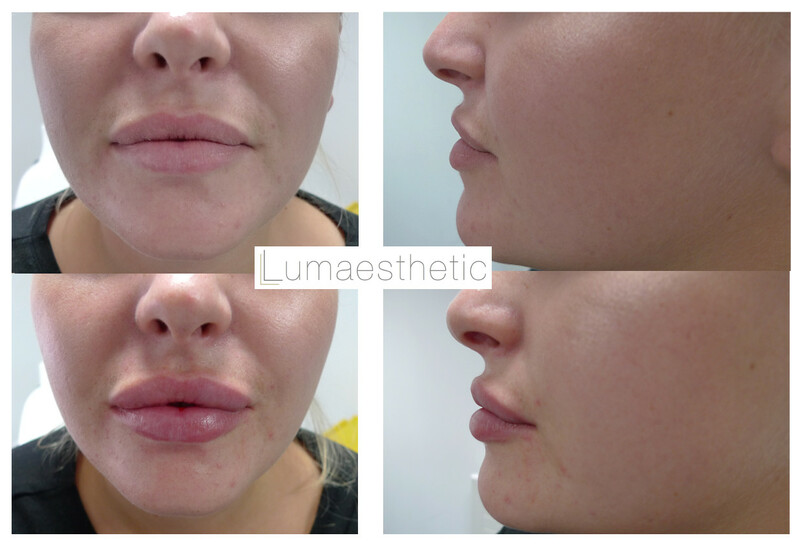 At Lumaesthetic, we are fully trained and experienced with our treatments so you will be in the safest hands. What Happens On The Day Of My Lip Augmentation? There is no obligation to undergo treatment from your free consultation and, as a principle in our clinic, we will always provide realistic expectations. After any dermal filler injections, which will take approximately 15-30 minutes, depending on the number of areas treated, you can carry on the day as normal. After all treatments with Lumaesthetic Clinics, you will receive an aftercare leaflet, detailing what to expect, things to look out for and how to contact us. We suggest that you do not have large events (e.g. weddings) planned within a month of having dermal fillers injected. You will see the effects of the dermal filler immediately after the injection so in-person follow-up is usually not required. We are happy to see you again free of charge if you feel the need. 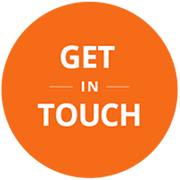 If you have any queries after your treatment, we are easily contactable. We suggest repeat injections approximately every 6 months to maintain the lip shape.